Cap off your meal with these indulgent sweet treats. 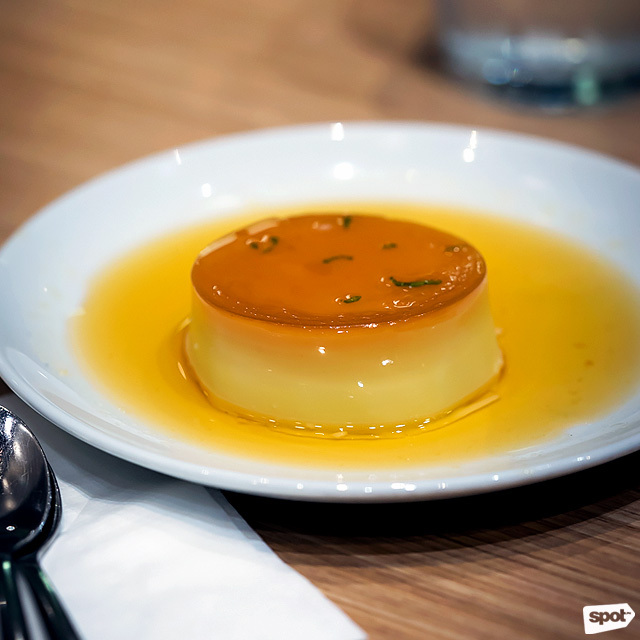 (SPOT.ph) Leche flan, the local spin on the classic crème caramel or caramel pudding, could well be the adobo of Filipino desserts—every family’s got a recipe that’s slightly different. 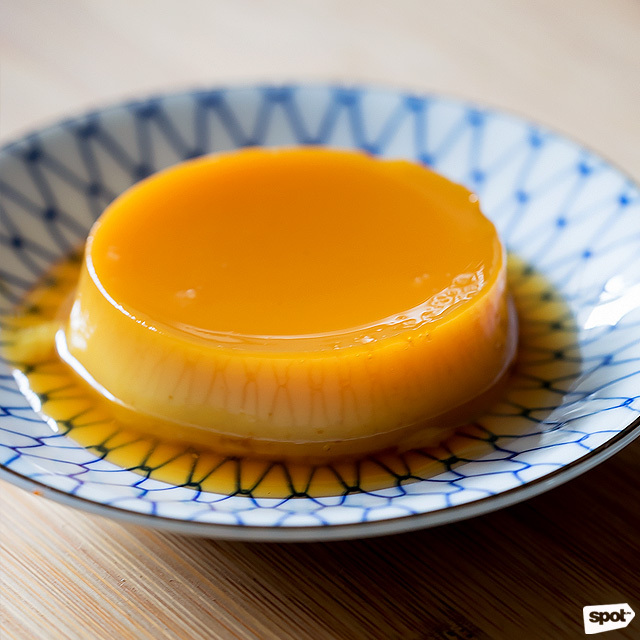 Leche flan, a custard typically paired with a sweet, caramel sauce, runs the gamut from dense and thick (just a little goes a long way), or light and eggy (going back for seconds and thirds is almost guaranteed). We judged them based on the perfect balance of sweetness, creaminess, and overall flavor, and scoured the Metro for the best-tasting commercial flans to come up with a list to satisfy everyone’s sweet tooth. 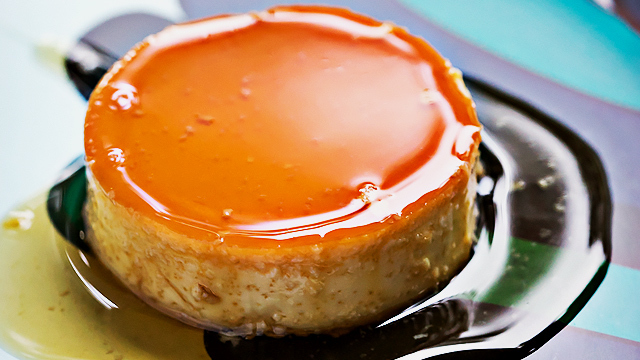 Calling all yema fans, we’ve found the perfect flan for you. Abe’s leche flan is the perfect halo-halo topper. 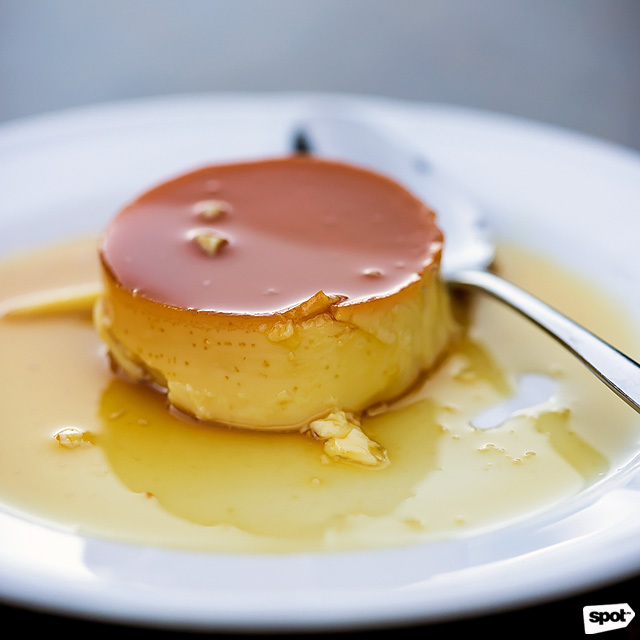 Thick like Spanish tocino del cielo (think mini leche flans), its extremely dense texture will set your heart aflutter. The round, palm-sized serving may be small but it packs a sugary punch. It’s best to share it with someone so you complete your meal feeling satisfied, not satiated. Bring it to your next family reunion and you will be loved by all your titas. Conti’s leche flan is big on taste and big in size, making it the ultimate potluck dessert. Not too heavy, not too light—this is the kind of leche flan that will please most palates. What’s most distinct about Conti’s custard is its strong, burnt caramel taste—if you’re a stickler for that sugary sunog flavor, this one’s for you. See a list of Conti’s branches. While most leche flans are served straight out of their llaneras or molds, Via Mare’s take is different as it’s served like a pie wedge on a single pandan leaf. The texture of this flan is unique—brought straight out of the freezer, it’s cold and rich, almost like a delightful ice cream pie. 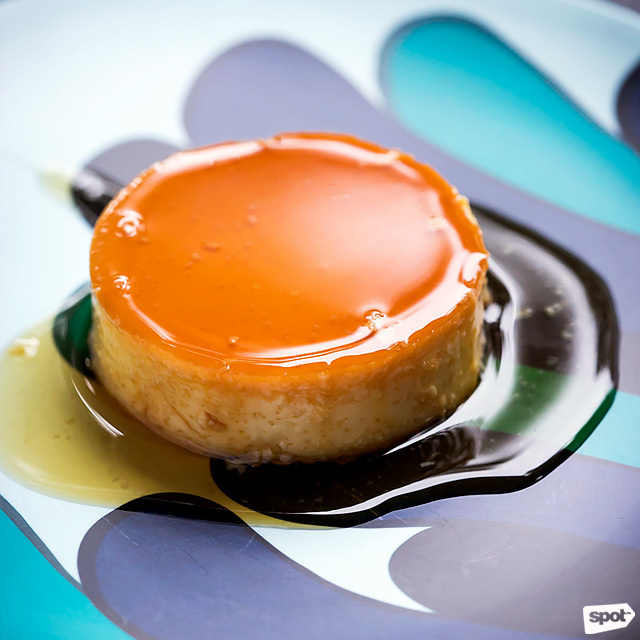 Just a hint of syrup tops the leche flan, while its bottom is a solid, egg tart-y crust. Fans of frozen custard won’t be able to resist this one. Manam has been hitting the ball out of the park when it comes to modern, Filipino food and their leche flan is no exception. Because it utilizes coconut milk, Manam’s custard has a strong coconut flavor that takes it to the outskirts of Pinoy cuisine and has it traveling to Thai-food territory. Perfect consistency is complemented by a citrusy kick (you’ll see bits and pieces of rind topping the flan). What brings this unique dessert back to its familiar Pinoy beginnings is the syrup—a lovely way to round out all the complex flavors. See a list of Manam branches. Caught in the Kapitolyo area with a craving for dessert? Find your way to the neighborhood’s long-standing Filipino restaurant, Café Juanita. While you’ll be paying slightly more for a single serving of custard, their take on leche flan is weighty enough to merit your money. The first bite is strong on the sweetness, but the flavor eventually peters out into a mild and eggy taste. Thick but not too thick, this leche flan lays smack in the middle between the ultra-light and airy, and the mega-dense and heavy. Café Juanita is at 19 West Capitol Drive, Kapitolyo, Pasig City. Crisostomo takes your run-of-the-mill leche flan and dresses it up to look and taste poetic. 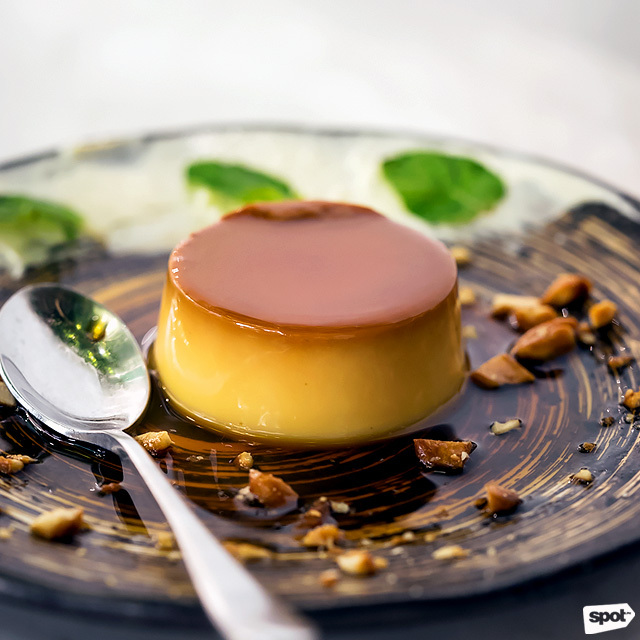 Beautifully and uniquely presented with a smattering of chopped pecans, along with some cream on the side with fresh mint, their leche flan shows you just how special a homemade dessert can actually be with a little imagination and innovation. Their custard is smooth and mildly flavored—what makes it pop is the extra crunch. If you love pecan pie, you’re going to appreciate this delicious Filipino dessert with a twist. 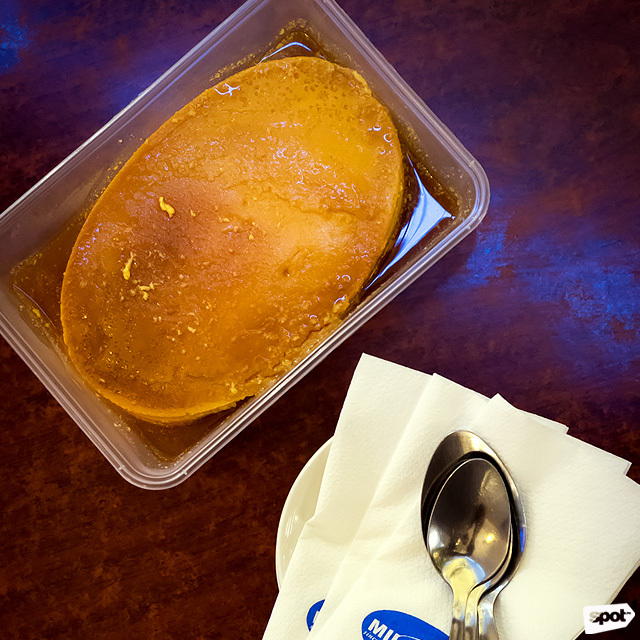 If you’re gunning for something satisfying to round out your meal, Romulo’s palm-sized serving of sweet custard will do you good. Dense without weighing down your palate, this take on leche flan offers a consistent texture and a surprising orange-citrus kick upon your first bite. Rather than something frothy and melt-in-your-mouth, their take on the classic dessert provides rich and solid sweetness. 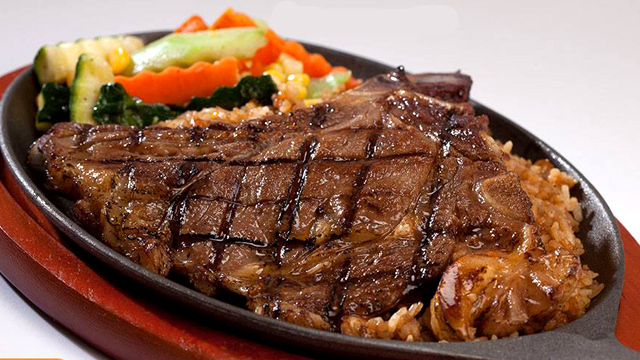 Romulo Café has branches at Tomas Morato, Quezon City; Jupiter Street, Makati City; and Alabang, Muntinlupa City. Leche flan is often paired with other Pinoy desserts—halo-halo, macapuno, ube, and more. 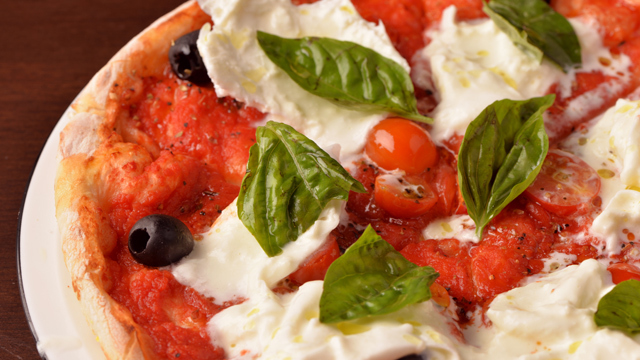 Providore takes this idea of mixing classic local tastes together and turns it into a superior fusion of yummy flavors. 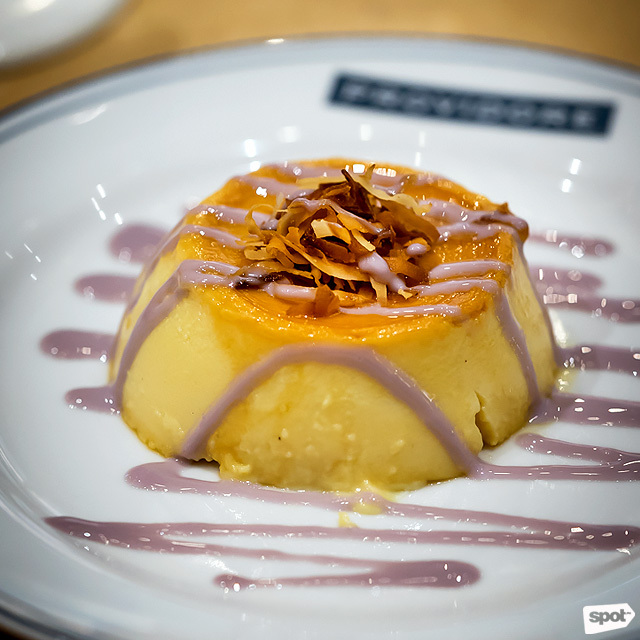 Tinged with a distinct coconut flavor, their unique version of leche flan is topped with an ube glaze and has a pastillas-level of sweetness. Served without syrup, this leche flan still retains the perfect texture—and not a hint of dryness anywhere. 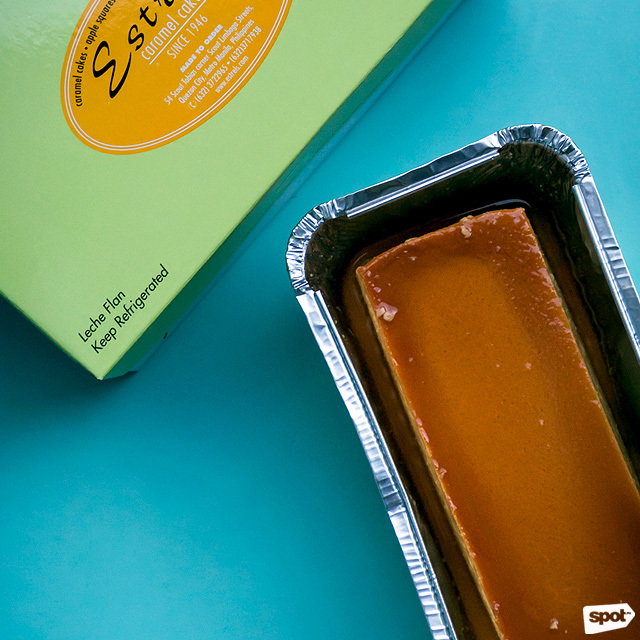 Estrel’s has been a household name since 1946, and they’re primarily known for their caramel cake. 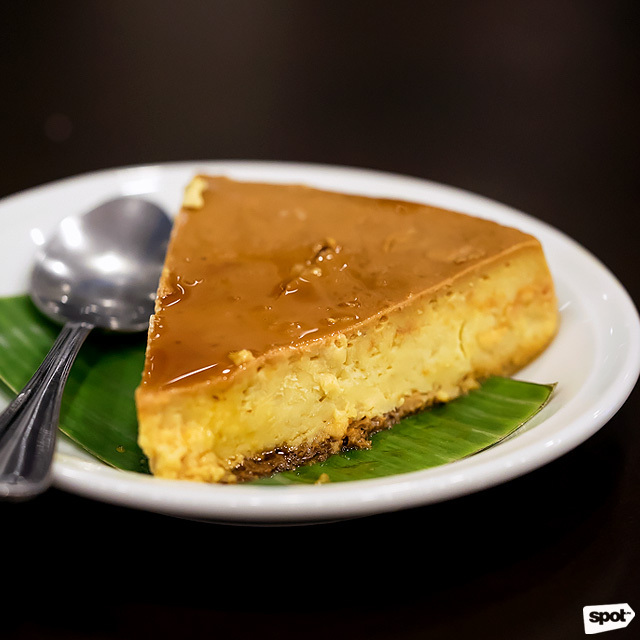 The takeout-only Quezon City landmark has taken its adeptness at caramel and spun it off to include leche flan, which takes like a custard version of their famous cake. Pretty generous in size, this light and mild-flavored flan will do well in family parties or office birthday celebrations. If you’re not into anything too filling and cloying, their leche flan’s lightness will be pretty forgiving! Estrel’s is at 54 Scout Tobias corner Scout Limbaga Street, Quezon City. 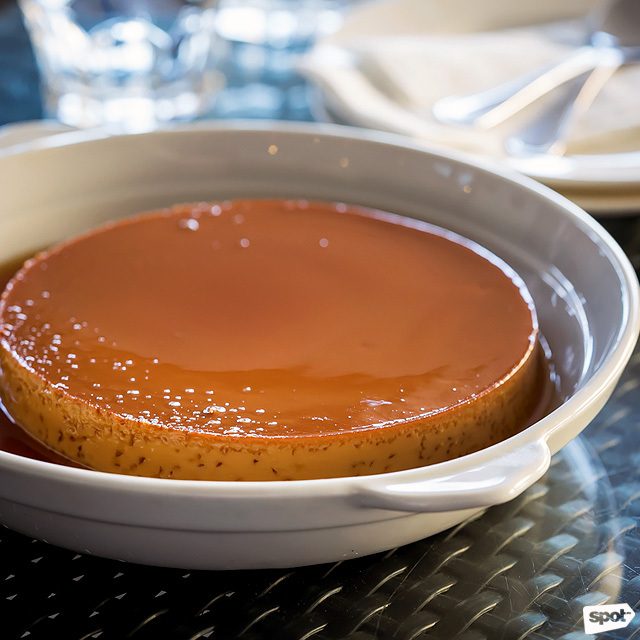 When you think of a traditional, homemade leche flan, this is exactly what comes to mind. Milky Way may be known for their halo-halo, but their flan deserves a try for its mild sweetness, light and “eggy” texture, and pleasant albeit slightly burnt caramel taste. Fashioned straight out of a llanera, this melt-in-your-mouth dessert will transport you straight back to childhood summers in your grandmother’s ancestral home and will leave you dreaming about it for days. Milky Way has branches at Power Plant Mall, Rockwell, Makati City and Arnaiz Avenue corner Paseo De Roxas, Makati City.